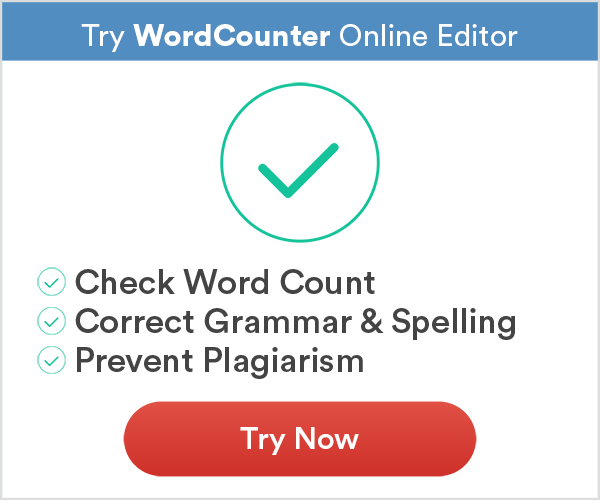 There are several reasons why you may be asking how many words a minute the average person speaks (you can get an estimate on how long it will take to say what you have written withWordCounter’s Speaking Time” detail). You may just be curious and enjoy trivia. You may have to make a speech and you want to get an idea of how long your presentation should take. Maybe you’ve been told you talk to fast or too slowly, and you’re wondering what speed you should be shooting at. There are plenty of legitimate reasons to want to know how fast the average person speaks, but the actual answer isn’t black and white. It’s never satisfying when you ask a question wanting a straight forward answer only to get “That depends” as the answer, but there are a lot of details that have an impact on this question. For example, if English is your first language, you probably speak faster than the average second-language English speaker. If you’re excited, hurried or nervous, you’ll also tend to speak faster. On the other hand, if you’re very relaxed, tired or bored, you speak more slowly. Even regional differences exist. Fast-moving New Yorkers speak faster than other Americans. Having said that, there really is an average speaking speed. Most people speak at an average speed of four to five syllables per second. Most words are two to three syllables long, giving you the answer that the average person speaks approximately 100 – 130 words per minute. 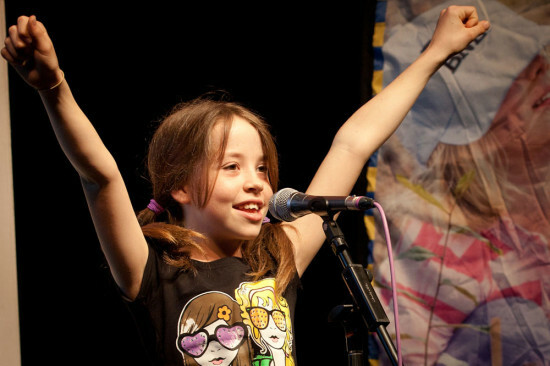 A professional voice over artist usually uses 150 to 160 words per minute. An auctioneer, on the other hand, does a rapid fire 250 to 400 words per minute. Those, however, are exceptions. When you’re just having a chat, you’ll usually speak at a rate of 110 to 130 words per minute. This number can be important to know if you are ever in the position to give a speech. How many words does the average person say per day? Just to take this to the next level, let’s look at how many words the average person says per day. Assuming that you have a job where you work with other people, the number of words you speak every day ranges from 7,000 to 20,000. Assuming you’re just using a chatty tone and aren’t an auctioneer, you probably spend 18 to 180 minutes a day talking. As you might expect, men use fewer words than women do, but you might be surprised to know both men and women use the same number of “meaningful words” to communicate something important. In other words, women tend to use more ‘filler words’ when they speak than men. Does your speaking speed really matter? Although you probably shouldn’t focus on your spoken word count per minute, you won’t be a good speaker if you speak either too slowly or too fast. Have you ever listened to a presentation by someone whose words just seem to tumble out in a rapid-fire way? It can be difficult to keep up with them or to remember what they said. On the other end, slow speakers can rapidly become boring as they drone on and on. The mind wanders, and once again, the message doesn’t come across as it should. Listen to radio talk show hosts. You’ll notice that the speed they’re talking varies depending on what they are talking about and what mood they are conveying. They vary both speed and tone to keep listening interesting. Although most people do this automatically, you may have to teach yourself if you’re a naturally speedy or naturally slow talker – especially if you have to speak in public. Although listening to a recording of your own voice is many times a bit of a weird feeling, it’s the only way you can really understand what your talking speed is like from a listener’s perspective. Try it, decide how you can improve, and then record yourself again and listen to the playback. Listen to powerful speakers who have their audiences on the edge of their seats. The speed they use adds to the power of the words they say. When they talk fast, you can feel the urgency and excitement. When they slow down, you can sense that something momentous is being said. You’ll also ‘hear’ the punctuation marks as they pause between phrases or adjust the tone of their voices. Timing and delivery are an art that not everyone can master, but if we pay attention, there’s no reason we can’t improve. I think this will depend on how stressed or nervous someone is. If you are calm it is easy to speak at a slow and understandable speed but the moment you add stress it can become almost impossible to understand someone. Working with people most of the day the most important thing I have noticed is that as soon as you speak calmly. They tend to listen and understand more. I think it is nearly impossible to determine how fast the average person speaks because everyone speaks at different speeds. One point that this article doesn’t address is the language the person is speaking. I find that people of certain languages speak a lot faster than people who use other languages. For example, Spanish speakers seem to speak a much faster than English speakers. I taught Sunday School to kids, half of whom were bilingual in Spanish. I did an experiment with them once, and yes, the *do* speak faster in Spanish than in English. When I told them the results, they told me that they already knew that. With the trilling of “r”s and other Spanish sounds that seem to take more work to pronounce, not to mention that more complex conjugation of verbs, it would seem to me that the opposite ought to be true. Arrived here looking for a for a “word counting” system. A device that will tell you how many words you have spoken in a period of time. It says 100+ a minute,. 7-20 thousand daily. A WORD document will tell you how many written words are in your publication. Sheet music will tell you how many musical notes. A time piece the seconds, minutes, hours, days, etc. A ruler lengths. A calculator numbers. ETC. BUT, how many words did your brain, larynx, tongue, lips, send via Vibrational Energy into the Earthly/Universal plasma of reality Yesterday? Who else is interested? If there is no device to do so, can one be invented? Who has the “biggest mouth?”. Do you ever shut up? Can I get a minute of silence. What do you do in a public library, when you are required to be silent? How about a Movie Theater? When you are alone? If you move your jaw too much, you get those lines from your lips to your jaw! Will you give my ears wrestling? SO how many words did I just type? I am a professional author, so Words are my income.